You are not logged in. 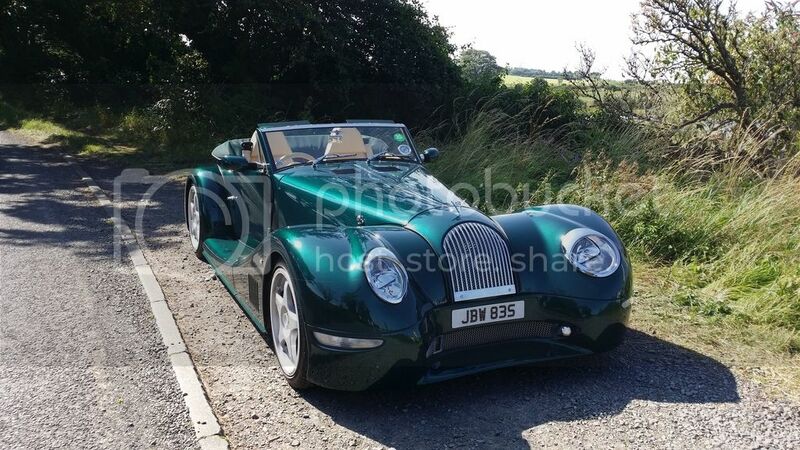 [Log In] Talk Morgan » Forums » Morgan Sports Cars » Morgan Aero 8, SuperSports, Aero Coupe & Aeromax » Increase tyre pressures, improve steering? #572057 - 15/04/19 03:40 PM Increase tyre pressures, improve steering? I did an airfield activity day on Friday, and as recommended increased tyre pressures, as there is the (unlikely) risk of the tyre falling off the rim with the sideways loads, it happened to an mx5 last time I was there, but he hadn't checked his pressures and the other 3 were at circa 15psi, so his own fault. I have been running at 25 psi, which I increased to 30, didn't get round to dropping the pressure back down again after the day, and have been using the car today. Well I have always thought that the steering was a little strange, difficult to explain, but doesn't feel very linear, and a bit bottom clenching if travelling quickly and having to make adjustments mid bend. Running the higher pressures has totally changed steering feel, it has become very positive on turn in and much less dramatic making mid corner adjustments. Anybody else had similar experiences? S5 on 19" rims with Conti tyres. That is very interesting, as Morgan suggest running lower pressures but when speaking to a Michelin technical rep he suggested to go with about 30 all round.. There is a high risk of understeer if tyres are overpressured. If you car's front tyres loose adhesion because they are over pressured and it carries straight on when you turn the steering wheel, isn't that understeer? Or am I missing something? I always go just 2.5lbs higher when re inflating as the Mog Spokes will lose pressure over time. The Roadster 100 steers superbly and did Jink well when needed to avoid the middle of the roaders coming at me. 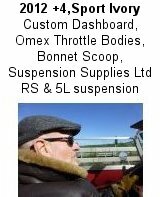 I have no Idea of the legal implications on liability - if one is unfortunate to be in an accident with well over the recommended tyre pressures and the car is taken away and Police Checked, as my shortened and undrivable Volvo was, when I was unfortunate to be stationary in the middle of a three vehicle shunt? Sorry have I missed something? The steering is much more positive on turn in with the higher pressure, I understand that understeer / oversteer can be effected by increasing / reducing tyre pressures on one axle, I have increased all pressures, so the balance remains the same (as far as I understand). If tyre pressure is too high, then less of the tyre touches the ground. As a consequence, your car will bounce around on the road. And when your tyres are bouncing instead of firmly planted on the road, traction suffers and so do your stopping distances. You'll also feel a decrease in ride comfort. It is a common misconception that overinflating your tyres will provide more responsive handling and greater fuel efficiency. In fact, over-inflation is detrimental to the tyres and can be dangerous. For the best handling and fuel efficiency, you should adhere to the manufacturer's optimum tyre pressure. It allows you to compare tyres of different characteristics and pressures etc.